Romanian Brass Band, Buskers, Blues, Contra Dancing well just about anything you can think of. It's at the Folklife Festival in Seattle. This year they had a Gig Poster exhibit that was cool. 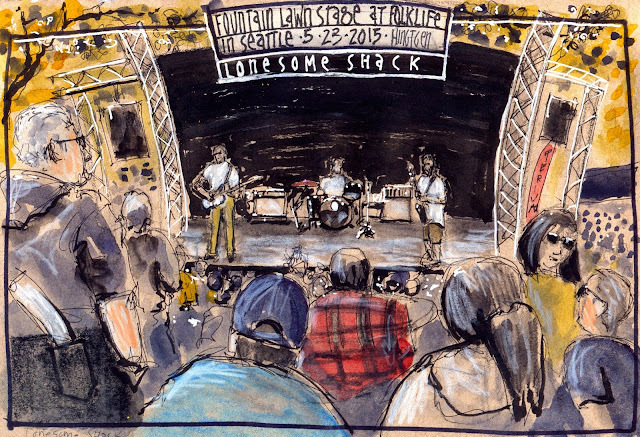 This is a sketch of one of the venues. Folklife has happened every year on Memorial Day weekend since 1972. Love this sketch, David. I feel as if I am right there.